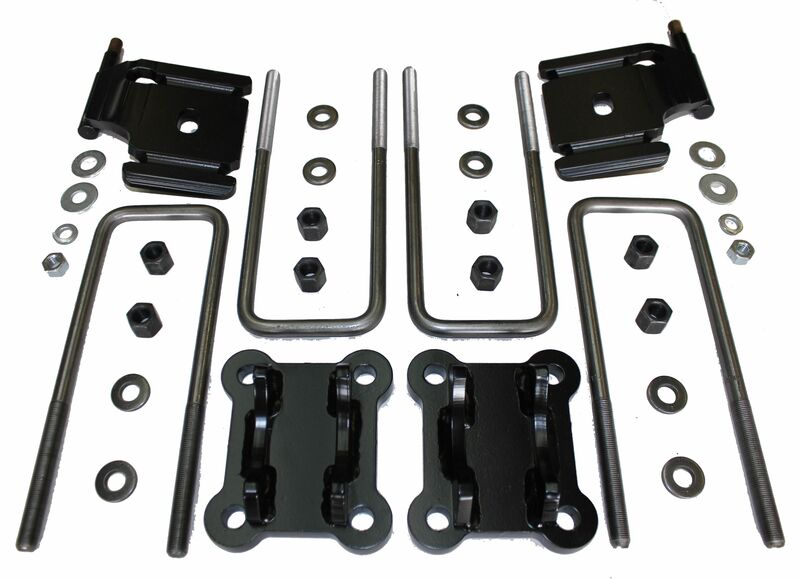 The ultimate kit for U-bolt protection and ground clearance on spring under axle equipped Land Cruisers. 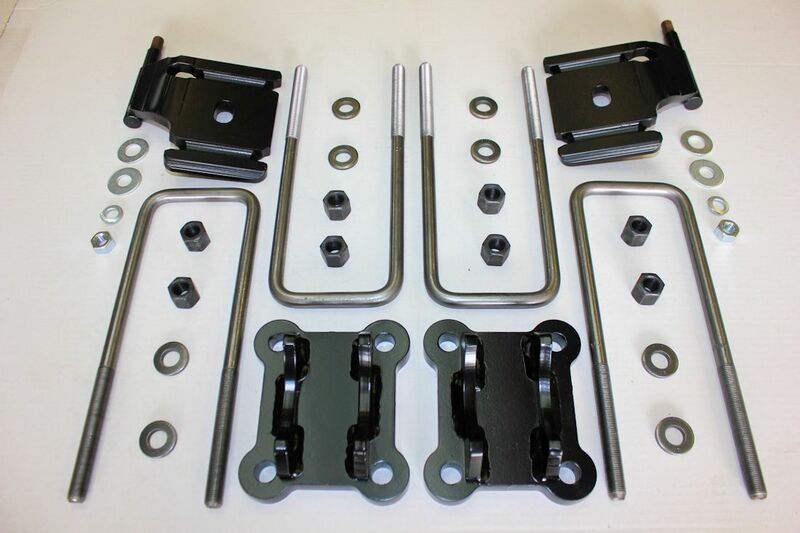 U-bolt nuts go on top, out of the way. 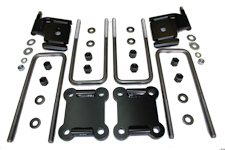 The lower U-bolt locating plates are beveled for maximum protection from hang-ups on obstacles. 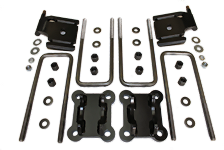 5/8" thick steel upper plate prevents flex from any torque values. 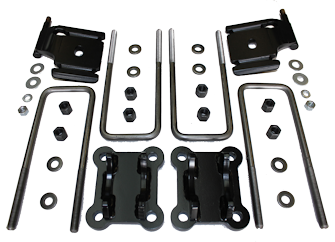 Each kit includes new U-bolts, washers, and nuts. 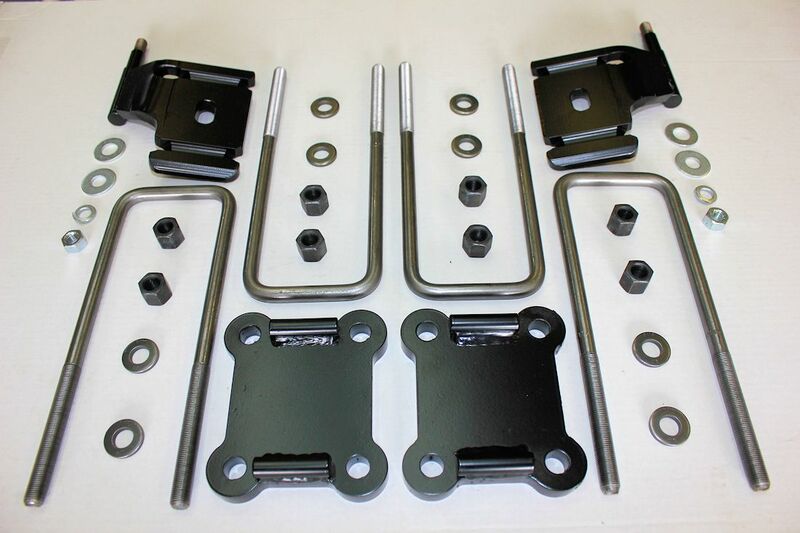 As well as satin black powder coated upper and lower plates.